Yes, you may only if the order is still on pending on dispatch status. Please send an email immediately to our customers service email at support@myfamediva.com with the message title “Request to cancel order” in order to cancel the order. *Do note a cancellation fee will be incurred, subject to your order amount. Delivery usually will takes about 7-14 working days. Sorry that we're unable to clear your doubts in the F.A.Q page. 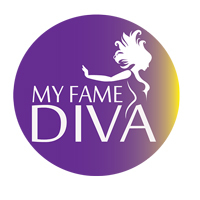 Please kindly send us an email to support@myfamediva.com for us to clear your doubts!